Most orders ship THE NEXT BUSINESS DAY, Monday through Friday. If we receive your order over the weekend (Friday through Sunday), your order will be shipped the following business day, typically Monday. Please Note USPS Do Not Guarantee their delivery time frame. If you’re on a tight schedule (you need it this weekend), we recommend contacting us to be sure you select the best shipping method to ensure on-time delivery. Time in transit is calculated in business days, with day #1 being the day after your package is shipped. UPS does not deliver on Saturdays, Sundays, or major designated federal holidays. UPS will not deliver to P.O. boxes. APO orders ship via USPS Priority Mail. We cannot declare a reduced shipment value amount or say your order is a gift to lessen import duty and taxes charged by your country. 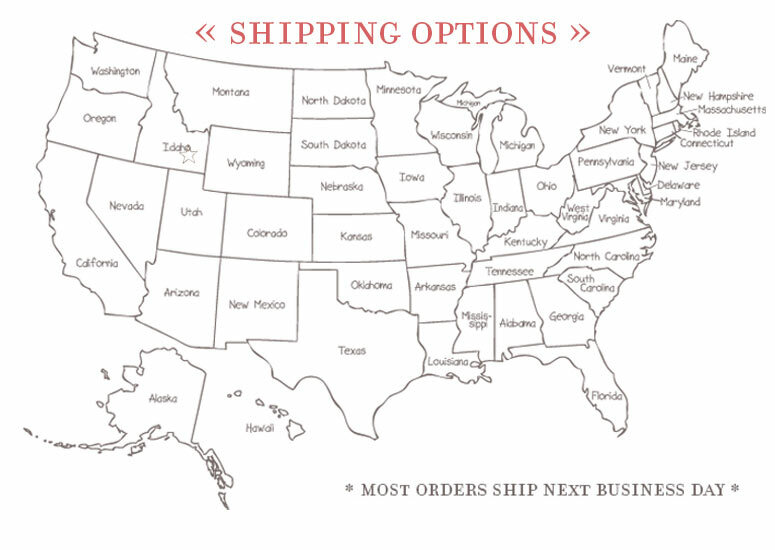 APO addresses, Alaska and Hawaii are considered domestic orders and may opt to use our regular USPS options. All international orders ship within one business day after we receive your order and payment. All prices are listed in US Dollars. You can find a currency exchange calculator here.